Ideas made out of stainless sheet metal comes to live…. Have a good look at this great idea made out of stainless steel sheet metal. Basically the finished metal product you see here is a rectangle, where we did cut a big hole during the laser cutting process out of the rectangle. The customer also wanted us to bend that rectangle into a “U-shape ”, which we also offer in our easy 4 step ordering process to end up with this final shape. 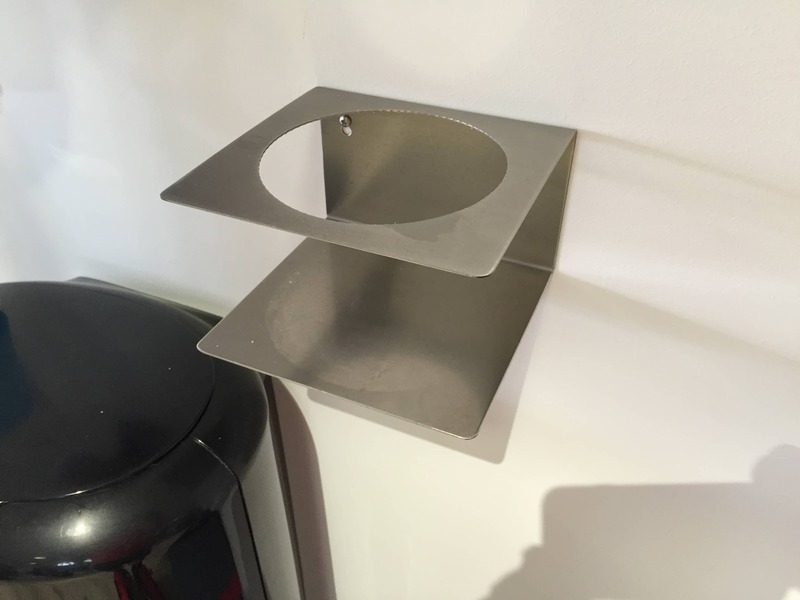 Mounted to a wall of a fitness center this idea made out of stainless steel is a real great idea and shows you what can be done out of metal. 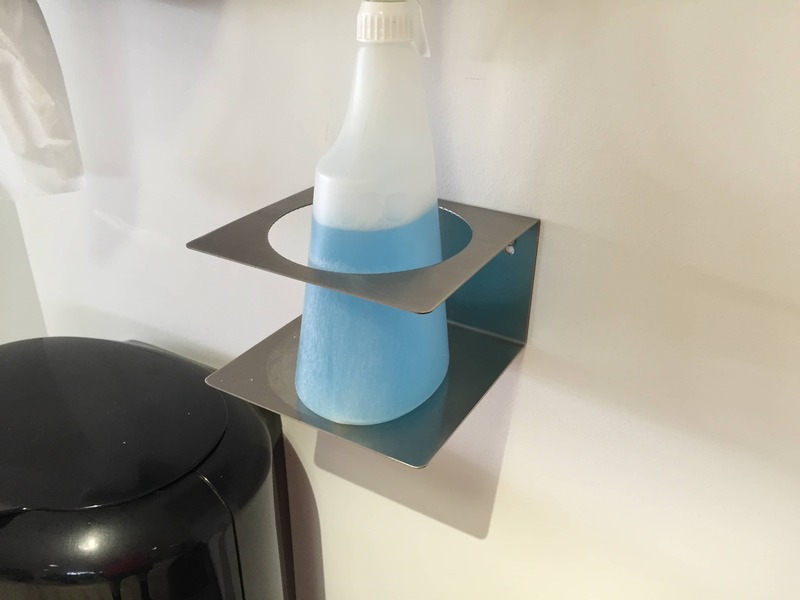 The U-shaped stainless steel metal is holding disinfection fluid available so athletes can clean the used equipment prior to the next one who wants to use it. 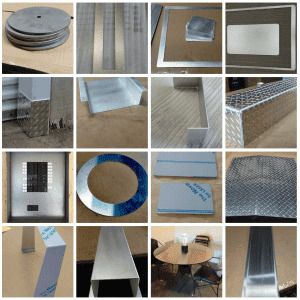 We thank our customer for providing his pictures to MetalsCut4U, so we can show you where our custom cut sheet metal comes to live. You also have an idea you would like to be brought to live, contact MetalsCut4U, we will try to help you.